There are numerous types of yogas and doshas formed in one’s kundli and defined in Vedic Astrology. Generally, yogas are considered benefic for a person whereas Doshas present in any horoscope plays a malefic role during his whole life span. Kaal Sarp Dosha is also one of them, which is considered very malefic for the native. Sometimes it is also called Kaal Sarp Yog. This yoga is formed due to bad deeds of past life, which one have to suffer physically and mentally. There are remedies defined in Indian Vedic Astrology for Kaal Sarp Dosha but before proceeding ahead, we need to understand this phenomenon. Kaal Sarp Dosha is a yog formed in one’s kundali due to which one suffers from financial losses, physical and mental agony and problems related to the child. The person may not have children or be physically disabled child if this yog is present in his natal chart. Impoverishment occurs in his life due to this yog. There may be struggles for livelihood for the native. Apart from all these scenarios, Kaal Sarp is considered bad for other aspects of life also, that is the reason it is considered the most fearful Dosha of any horoscope. Anant Kaal Sarp Yog : If Rahu is present in first house, Ketu in seventh house and all the other seven planets hemmed in between these two shadow planets, then this yoga is formed in a birth chart. That person will face problems related to marriage. Kulik Kaal Sarp Yog : If Rahu is placed in second house, Ketu in eighth house and all the other seven planets hemmed in between these two shadow planets, then this yog is formed in one’s horoscope. One will suffer problems related to health or physical disability. Vasuki Kaal Sarp Yog : If Rahu is placed in third house, Ketu in ninth house and all the other seven planets hemmed in between these two shadow planets, then Vasuki Kaal Sarp Yog is formed. Native has to face some problems related to luck and efforts as they may not get proper results as per their hard work or efforts. Shankhpal Kaal Sarp Yog : When Rahu sits in fourth house, Ketu in tenth house and all other seven planets hemmed in between these two shadow planets, then Shankhpal Kaal Sarp Yog is formed. One will get involved in bad deeds if this yog is present in horoscope. Padam Kaal Sarp Yog : When Rahu sits in fifth house, Ketu in eleventh house and all the other seven planets hemmed in between these two shadow planets, then this yog is formed. It will create problems related to children in one’s life. Maha Padam Kaal Sarp Yog : When Rahu sits in sixth house, Ketu in twelfth house and all other seven planets occupy the place in between Rahu-Ketu axis, then this yog is formed. 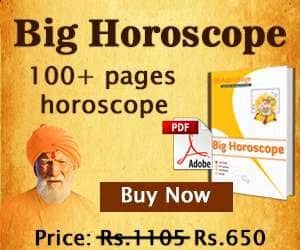 This Dosha in native’s horoscope can cause difficulties related to job, service, bad relation with bosses, bad health, hospitalization, expenditure more than income etc. Takshak Kaal Sarp Yog : If Rahu is placed in seventh house, Ketu in first house and all other planets are placed in between Rahu and Ketu degrees, then this Yoga is formed in one’s natal chart. Natives will have problems related with partnership and spouse. Relationship might get bad with spouse. 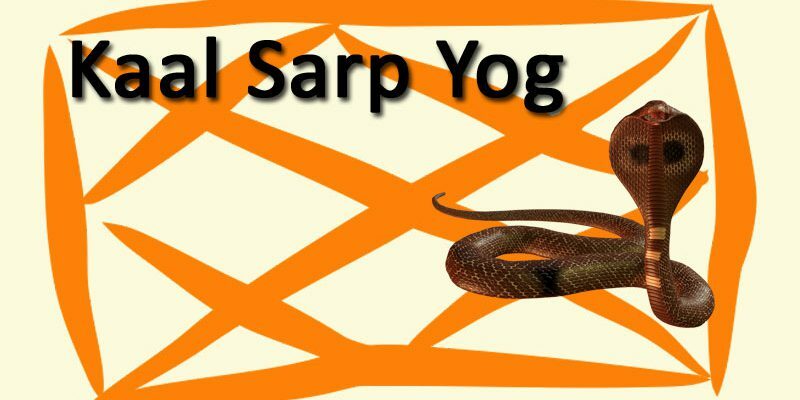 Karkotak Kaal Sarp Yog : If Rahu is placed in eighth house, Ketu in second house and all the other planets are hemmed in between these two shadow planets, this yog is formed. These people might have to face bad health, getting cheated by others etc. Shankhnaad Kaal Sarp Dosh : If Rahu is placed in ninth house, Ketu in third house and all the other planets hemmed in between the axis of Rahu and Ketu, this Dosha can create the situation of Pitra Dosha in one’s lifespan. Ghatak Kaal Sarp Dosha : If Rahu is placed in tenth house, Ketu in fourth house and all other planets placed in between these two planets, then this Yog is formed in one’s kundali. It may create hurdles at professional front or problems related to career and profession. It can cause natural dissatisfaction at home. Vishdhar Kaal Sarp Dosh : If Rahu is placed in eleventh house, Ketu in fifth house of the horoscope and all other planets hemmed in between these two planets, then this yog is formed in natal chart. It may arise the situations related to bad relations with elder siblings, problems in studies and unhealthy children etc. Sheshnaag Kaal Sarp Dosh : If Rahu is placed in twelfth house, Ketu in sixth house and all the other planets hemmed in between these two planets, this dosha originates. This may result in a situation of regular bad health, two marriages etc. 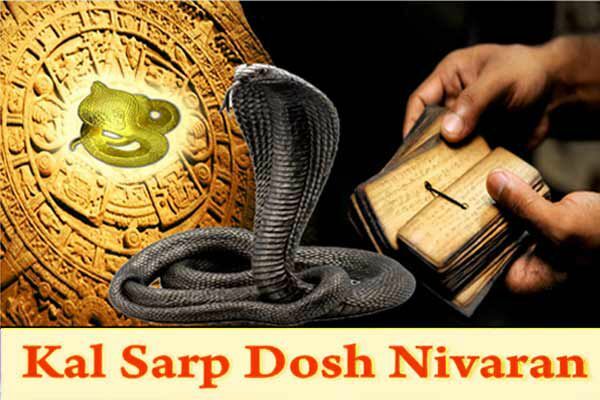 If you have any doubt after reading above reasons and symptoms of Kaal Sarp Dosha, you can get our Kaal Sarp Dosh Report to find out whether you have this Dosha present in your natal chart or not. Carry out worship for Rahu and Ketu as per the astrologer’s consultation. Duly worship Kaal Sarp Dosh Yantra. Chant Sarp Mantra and Sarp Gayatri Mantra. Install Shivling in a temple. On the day of Nag Panchami, worship Lord Nag. Offer sandalwood to Lord Shiva. Carry out Jal Abhishek to Shiva Linga during the month of every Shravan. In case you wish to avail answers to several of your problems, you can get precise solutions and remedies through our numerous services. We expect that you find this article on Kaal Sarp Dosha interesting and highly informative.